Summary: A new study reveals long term exposure of particulate matter in air pollution triggered the appearance of cancer related genes and inflammation in the brains of rats. The study provides additional insight into the health effects of air pollution. Source: Cedars Sinai Medical Center. While previous research has documented the association between air pollution and a variety of diseases, including cancer, the study found markers indicating certain materials in coarse air pollution–nickel, in particular–may play a role in genetic changes related to disease development, said Julia Ljubimova, MD, PhD. The study found that coarse particulate matter in the region’s air pollution found its way into bodily systems in two ways: inhaled through the lungs, where trace metals and other materials enter the bloodstream and then the brain; and through the nose, where the materials are absorbed more directly into the brain. 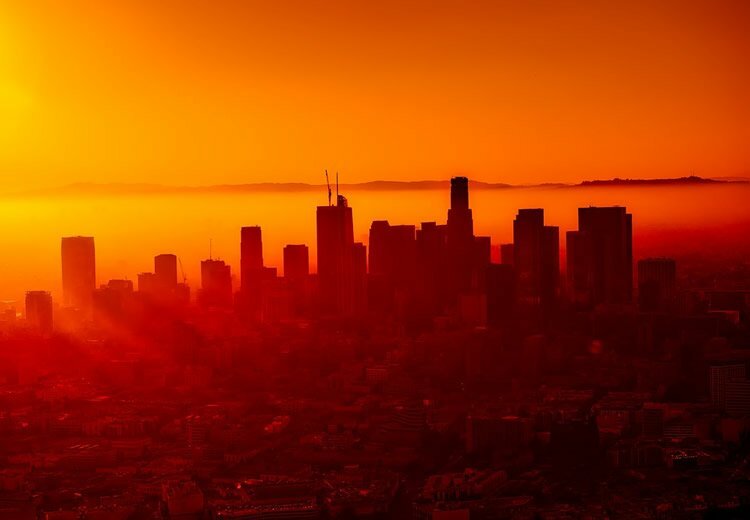 “This study, which looked at novel data gathered in the Los Angeles area, has significant implications for the assessment of air quality in the region, particularly as people are exposed to air pollution here for decades,” Ljubimova said. NeuroscienceNews.com image is in the public domain. Funding: Funding was provided by the Brain & Lung Tumor and Air Pollution Foundation that was established by the South Coast Air Quality Management District (BTAP011 to JYL), R01 grants to JYL (#CA199743 and #CA206220) and an R01 grant to EH (#CA 209921). Keith Black, MD, chair of the Department of Neurosurgery, is principal investigator of the Brain & Lung Tumor and Air Pollution Foundation. Original Research: Open access research for “Coarse particulate matter (PM2.5–10) in Los Angeles Basin air induces expression of inflammation and cancer biomarkers in rat brains” by Julia Y. Ljubimova, Oliver Braubach, Rameshwar Patil, Antonella Chiechi, Jie Tang, Anna Galstyan, Ekaterina S. Shatalova, Michael T. Kleinman, Keith L. Black & Eggehard Holler in Scientific Reports. Published April 9 2018. Cedars Sinai Medical Center”Prolonged Exposure to Air Pollution Leads to Genetic Changes in the Brain: Rat Study.” NeuroscienceNews. NeuroscienceNews, 8 May 2018. Cedars Sinai Medical Center”Prolonged Exposure to Air Pollution Leads to Genetic Changes in the Brain: Rat Study.” http://neurosciencenews.com/pollution-brain-genetics-8987/ (accessed May 8, 2018). Air pollution is linked to brain inflammation, which accelerates tumorigenesis and neurodegeneration. The molecular mechanisms that connect air pollution with brain pathology are largely unknown but seem to depend on the chemical composition of airborne particulate matter (PM). We sourced ambient PM from Riverside, California, and selectively exposed rats to coarse (PM2.5–10: 2.5–10 µm), fine (PM<2.5: <2.5 µm), or ultrafine particles (UFPM: <0.15 µm). We characterized each PM type via atomic emission spectroscopy and detected nickel, cobalt and zinc within them. We then exposed rats separately to each PM type for short (2 weeks), intermediate (1–3 months) and long durations (1 year). All three metals accumulated in rat brains during intermediate-length PM exposures. Via RNAseq analysis we then determined that intermediate-length PM2.5–10 exposures triggered the expression of the early growth response gene 2 (EGR2), genes encoding inflammatory cytokine pathways (IL13-Rα1 and IL-16) and the oncogene RAC1. Gene upregulation occurred only in brains of rats exposed to PM2.5–10 and correlated with cerebral nickel accumulation. We hypothesize that the expression of inflammation and oncogenesis-related genes is triggered by the combinatorial exposure to certain metals and toxins in Los Angeles Basin PM2.5–10.